Rheilffordd Talyllyn Railway01654 710472work Steam RailwayExperience the nostalgia of historic steam trains in some of Wales’ finest countryside. The railway starts on the coast at Tywyn, snakes through the foothills of Cader Idris to Dolgoch Falls, Abergynolwyn and Nant Gwernol. The train clings to the hillside as it passes through woodland and over ravines. The trip takes about an hour each way. Your ticket allows you to break your journey and extend your day: you could take a country walk, explore wooded paths, discover waterfalls or visit the beach. Tywyn Wharf station is home to the Narrow Gauge Railway Museum, which tells the story of little railways across Britain, and King’s Cafe has hot and cold menus, lunch time specials and a licensed bar. Quarryman’s Tea Room at Abergynolwyn serves a range of refreshments and light bites. 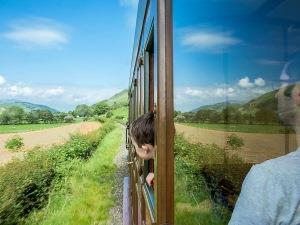 Experience the nostalgia of historic steam trains in some of Wales’ finest countryside. 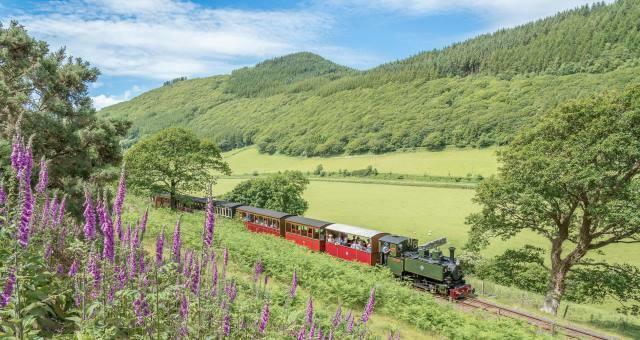 The railway starts on the coast at Tywyn, snakes through the foothills of Cader Idris to Dolgoch Falls, Abergynolwyn and Nant Gwernol. Shop, Licensed Cafe and Museum open 10am - 4.30pm most days in the main season and at other times (see website). Help us to preserve this historic railway and SAVE MONEY by choosing the Donation Fare – you make an additional voluntary donation of 10%, and in return we will give you a voucher worth 15% of the total amount paid to spend in our cafés or gift shop. Please request a Basic Fare if you do not wish to pay by donation, but note that you will not receive a voucher. If you are a UK taxpayer you may be able to Gift Aid your donation, and the Government will give us an extra 25% at no cost to you. 2019 Standard Day Tickets - Donation Fares with Gift Aid: Adult £19.50, Accompanied Child £5.00 (Voucher values £3.00 & £0.80). Basic Fares Non-Gift Aid/No Voucher £17.70 & £4.50 respectively. Fares for individual Single and Return journeys are available. Great value 12 month and 8 day tickets are available. Children under 3 travel free. Discounts for Disabled, Carers and Groups. (Groups should book in advance). Tickets are available on the day from all staffed stations and from the Guard on the train.